For 20 years we lived and worked in different Asian countries. We where based in Thailand, Malaysia, Sri-Lanka, China and India. Paul as Manager-Technical Advisor in Diamond Manufacturing Company’s. Patricia as a Documentary-Photographer. 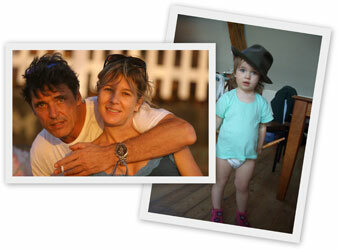 In 2006 we decided to extend our family, we settled in Antwerp and in March 2007 our daughter Vita was born. Patricia bought the anno1870 old Mansion in 2003 and with the original architecture in mind we renovated the entire house, into a unique and original B&B. In Januari 2010 Patricia finally opened “Antwerp Bed and Breakfast.” We run our business not as a job but as a passion in life. Our goals are an excellent around the clock service, but most important to make our guests feel comfortable and relaxed like we would do with our own family.